Plate settlers have been around for over a century, an English patent is dated back to 1886 and French design back to 1887. During the 1930’s, plate settlers were used in mining and mineral industries to separate out heavy particles. In the late fifties, Professor Gunnar Weijman-Hane began a study at Chalmers University of Technology in Sweden. This led to the modern plate settler technology and the GEWE lamella sedimentation system. 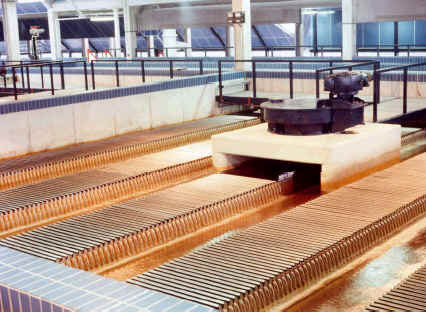 The Weijman System is used for treatment of potable water and municipal wastewater as well as industrial process water and wastewater. Over 400 installations are in operation worldwide and have been proven in different applications. More than 40 years of experience guarantee for efficient performance.